Dr. Peter Julius Vernesoni (Buddy), 75, of Tolland, CT, passed away peacefully on Saturday, March 17, 2018. He was born on July 31, 1942 in Hartford, CT to the late Dorothy (Robinson) and Peter J. Vernesoni. He was the loving husband to the late Mary (Reddy) Vernesoni. 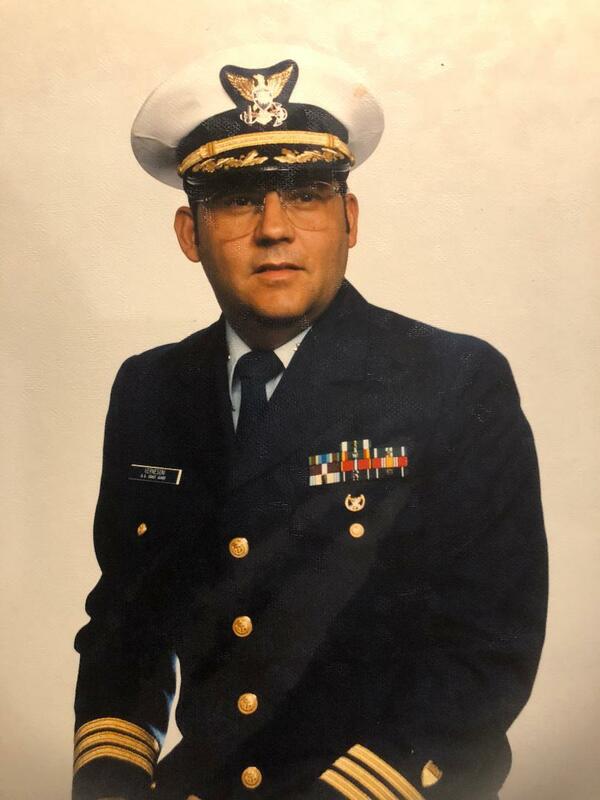 He served for 32 years in both active and reserved service for the United States Coast Guard, and retired as a commander. During his time in the military he served as a crew member on President JFK’s Presidential Yacht, the Manitou. He was a graduate of Central Connecticut State University (CCSU) earning a BS in 1968 and an MS in 1969. He later earned an Ed.D. from NYU in 1981. After retirement he volunteered in many community organizations including the Salvation Army, CT Canine Search and Rescue (CCSAR), the Manchester CERT (Community Emergency Response Team) and was a Ham Radio Operator with the BEARS of Manchester, CT. He is survived by his daughter Summer Spaderna and her husband Steven of Tolland; grandchildren, Austin Vernesoni, Isabella Spaderna and Sienna Spaderna; brothers, Phillip Vernesoni and his wife Karen of Buxton, NC, William Vernesoni and his wife Sandra Swan of Windsor, CT, sister-in-law Laura Vernesoni of Thomaston, CT; and many nieces, nephews and cousins. Besides his parents, he is pre-deceased by his wife Mary Vernesoni and his brother Michael Vernesoni. Relatives and friends may join the family on Thursday, March 29, 2018 between 5pm-7pm at the Tolland Memorial Funeral Home; 375 Merrow Road, Tolland, CT. Burial will be private at the convenience of the family. For online condolences please visit www.pietrasfuneralhome.com. To send flowers to the family of Dr. Peter Julius Vernesoni, please visit our Heartfelt Sympathies Store.